The Royal Cakery is handled by Shirelle Royal. She started in 1995 and took success all throughout the forthcoming years. Some high society gatherings where she catered to is the renaming of Louis Armstrong Airport in New Orleans and a number of Mardi Gras Balls. The Royal Cakery specializes in celebration cakes. You can chose in flavor combinations for each tier. 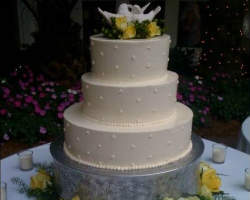 Cake styles can be decorated according to themed in weddings, birthdays, novelty cakes and pastries on silver and gold cake plateaus, cupcake or muffin stands as well as traditional and New Orleans style cake pulls. Take a sample of Shirelle’s delectable delights in affordable prices today. Melissa Fine Pastries creates the most elegant cake towers for wedding celebrations held in marked events at the city. They are very delicious and original in tastes and delight. Enjoy them with fresh flowers, edible satin ribbons, sugary treats and ornaments. Among cake bakeries Melissa Fine Pastries is popular for wedding cake towers. You can highlight them in LED lighting and produce another signature cake design in varied shades. 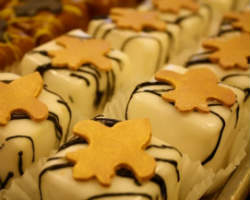 Today, the famous pastry shop also offers vegan and gluten free products for the more health conscious type of consumers. For sophisticated delicious wedding cakes in New Orleans, visit Melissa Fine Pastries for a free consultation today. The Kupcake Factory is a very cute baking shop and sweet treats store. 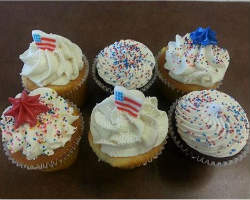 The in-house specialty is of course cupcakes and cupcake tiers. They can be arranged for different types of celebrations with the most beautiful cakes as centerpieces to weddings, baby showers and more parties needing customized cakes. 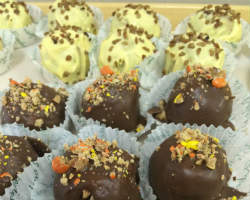 The Kupcake Factory only uses the highest quality ingredients in European chocolates, real creamery butter and flavors. These make flavorsome goodies, mixed with lots of care and love for your guests to taste. At their menu selection, choose from 30 flavors, frostings and combinations in cakes. Also, cupcakes can come as regular-sized, customized and other specialty orders like wedding cakes and cupcake tiers, special occasion cakes, corporate gifts and the list goes on. Other awaiting treats at the store, in pocket friendly prices, are Salted Caramel Chocolate Pretzels, Peanut Brittle and Rocky Road Bark. Royal Sonesta Hotel New Orleans is known for its excellence in hosting wedding receptions. It takes the lead among cake bakeries as well in creating for that one of a kind wedding cake in Sonesta tradition. Executive Pastry Chef Solandie Exantus will help you in choosing the wedding cake of your dreams. As part of the creative menus and food and beverage packages, Royal Sonesta Hotel New Orleans is also offering groom's cakes, fabulous floral creations and bouquets to romantic bridal suites. Wherein, your personal wedding specialist vows to be of help in selecting the perfect customized menu for the best wedding reception to happen at New Orleans. 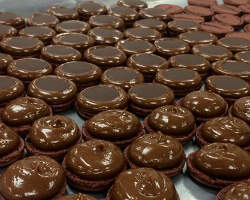 Gambino's Bakery is a world famous bakery found at the tri-center of New Orleans. The cake and pastries shop is a household tradition with 60+ years of management at lead in the business. Each product at Gambino's Bakery is fresh and no pre-made items are offered from its menu. Your wedding cake is made from scratch using only high quality ingredients. The possibilities are endless and nothing is better than Gambino's Bakery. 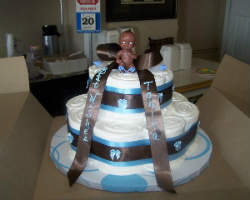 Cake options can be King Cakes, doberge cakes, baby shower cakes and birthday cakes. Make the event more unique by adding a range of cakes, breads, and other baked goodies at the buffet table. Sucré is the best sweet shop in New Orleans. 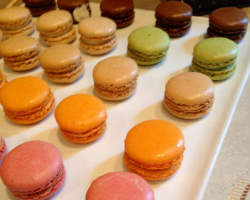 It serves award winning French macarons, gourmet chocolate bars, scrumptious cookies, toffee, rich chocolate drinks, homemade marshmallows and fresh southern candied pecans. When it comes to wedding and specialty cakes, Sucré can go from traditional to beyond with expert pastry chefs, who everyday design unique cakes. Browse through their cake galleries and see varied classic and modern looks, filled with seasonal flavors and holiday collections these delectable goodies make great gifts. Find too the best in-house chocolatiers and nationally proclaimed Executive Chef Tariq Hanna of Sucré’s desserts and sweet treats selection. The Sweet Life Bakery was opened in 2009 and quickly established its way to stardom as a favorite in hosting custom cakes in New Orleans. Thanks to the magical hands of Jenny Pacaccio and her team for crafting the lip-smacking desserts and yummy cakes for all occasions. The Sweet Life Bakery takes pride in using the freshest and most natural organic herbs in whipping up their cakes. See magnificent works of art at the cake shop. Get inspired on your wedding day. Their cake designs may vary from cool vintage to real fun in modern art. At the site, customers can right away pick designs, flavors, fillings and colors for their one-of-a-kind cakes.